U.S. 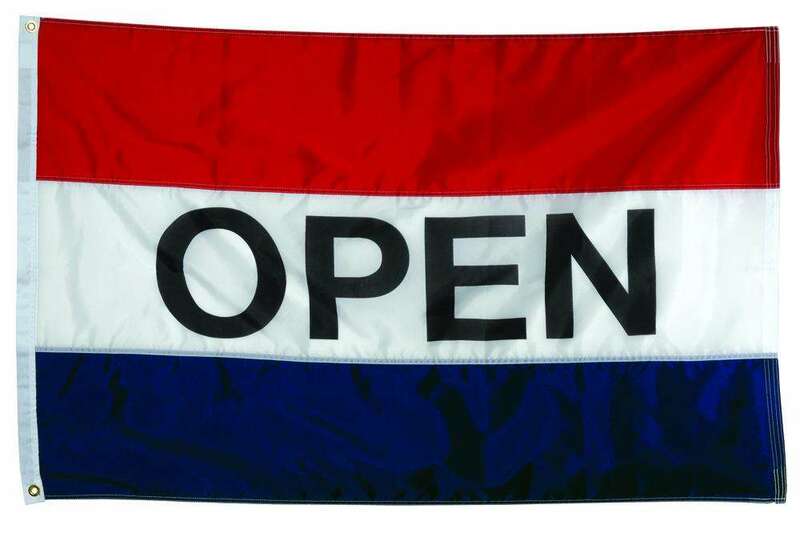 Flag Store's Welcome Message Flag is perfect for hanging outside of your business. 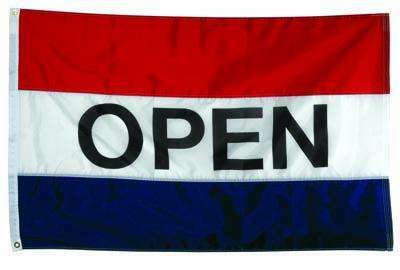 Made from heavy-duty nylon, and finished with a white canvas header and brass grommets, this is an all weather greeting flag.